Kojima Productions hit the tail end of this year’s Tokyo Game Show with a new trailer for Death Stranding, and boy is the game really making a case for its horror elements. The new trailer, while brief, introduces a new character played by Troy Baker. This guy sports golden a skull mask and underneath a ventilator of sorts. He’s also wearing similar attire to protagonist Sam, including the gadget over his shoulder and front-mounted baby container. Though, this guy’s container may not be for storing babies; it appears to be filled with blood. Ostensibly, Bling Face comes from the same place as Sam. But this mysterious new character seems to have some influence over the dark ink-like substance that saturates this world, as he summons a frightening creature made from it to challenge Sam — this no doubts sets up a boss fight. 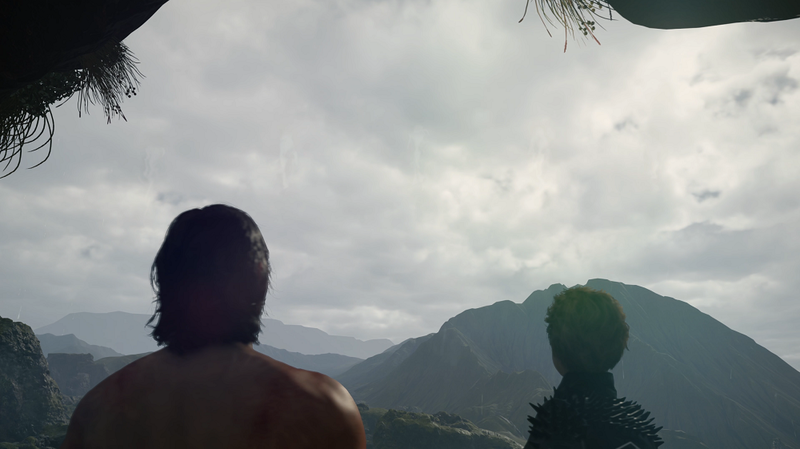 Death Stranding is a perplexing game, and I’m excited more and more with each little obtuse glimpse we’re given of it. Kojima Productions’ is creating what appears to be a story set within an inter-dimensional hell, where time and space are in flux and anything can happen. Combine that with the team’s knack for weird imagery and storytelling and excellent game design, and we might just have a GOTY contender — at least I hope. 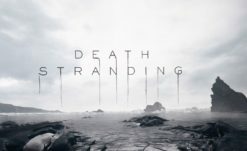 Death Stranding hits PlayStation 4 (and maybe PC still) whenever it’s ready.